So you are looking for ways to make money on the side. A question I have for you is: What’s your side hustle? Nowadays, people have their own side hustles. A side hustle is a great way to make some extra money on the side, as it is supplemental income to what you already make at your day job. Side Hustles are performed during your free time. They can be done on weekends, nights, or part time before or after your regular full time job. Some side hustles that start out as a side idea even turn into full time income potential (and will allow you to quit your current job you might be looking to get out of). Whatever your reason for pursuing a side hustle, below is a list to get you started in the right direction. If your motivation is to start making some extra side money right now, read on below. You can make money on the side by starting your own blog. This is a very common side hustle idea. It’s quick to get started. You sign up for web hosting and start blogging about your chosen topic or niche. You can then make money by placing ads on your blog, creating and selling eBooks and online courses, and promoting affiliate products. Another popular side hustle idea. With affiliate marketing, you promote other products online and earn commissions. Affiliate programs are out there for all types of products. Depending on what you want to promote, you have a lot of potential here to make money with affiliate marketing. You can find and sell almost everything today on eBay. Have any items in your house you no longer have any use for? Post them on eBay and start earning some extra cash. Don’t have anything to sell right now? Buy products at wholesale prices and resell them on eBay with the right wholesale suppliers. You can find out more about a wholesale directory here. If you enjoy writing, you can create your own Kindle eBooks and sell them online. Kindle eBooks are digital books. Topics you can write about are limitless. For a complete course on making money with Kindle publishing visit here. 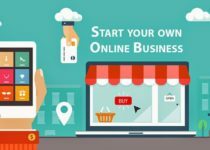 You can create an online store selling almost anything online. Do you want to sell electronics, games, or other popular products? Source your products from the right suppliers and start selling online. Becoming a freelancer allows you to complete all types of work. 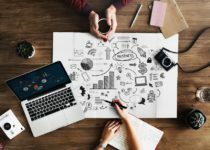 A site like Upwork will allow you to find different kinds of available freelance work. Most freelance work can be completed on an hourly or fixed cost basis. People will pay you for your knowledge. If you have something interesting that others would like to learn about, you can create courses and sell them online. You can deliver groceries. Popular sites and services like Uber Eats will provide you with what you need to get going. You can take surveys online and make some extra side money. There are sites that will pay you money to offer your opinions. Popular survey sites include Swagbucks, Survey Junkie, and ClixSense. You can sell all kinds of things on Amazon to make some extra money. A lot of people will sell their old books or textbooks from college. If you don’t have anything to sell, you can also buy wholesale products and sell them on Amazon to make money. VIPKID is a site you can sign up for to teach English online. You will be teaching children across China, who want to learn English. If you have a Bachelor’s degree and any teaching abilities, you can look into this option. Some people decide to make money entering the voiceover industry. Doing voiceover work is popular not just in big Hollywood movies, but also for other television related programming. You just need the right program and information to get started and you can find out more about voiceover work here. There are gigs on Craigslist you can complete. Check your local listings and see if anything might be of interest you. Gigs can be short term or part time work. You can design t-shirts and sell them. A site like Teespring will allow you to design your own custom T-Shirts and start selling them to make some money. Hep care for others who are in need. You can care for the elderly and disabled. Feel good about what you are doing and make a real difference in a person’s life. If you like to watch pets, you can become a pet sitter. Cats and dogs can use your company. Dogs need their exercise. If you like dogs, become a dog walker and start walking dogs around your neighborhood. You will get some good exercise at the same time. Companies rely on mystery shoppers for valuable insights and feedback. You can do mystery shopping and get paid to provide your feedback. If you are the fitness type, help others get into a fitness routine. Help people at your local gym with their workout routines, and sticking to a more healthy lifestyle. If you need to make money right away, have a quick yard sale. Anything you no longer need, put it up for sale and get rid of it quickly to make some extra money. You can get paid to write online. Sites like IWriter or Upwork are always looking for talented writers. There are writing projects for all sorts of topics and you can bid on the work that appeals to you. A very common side hustle is becoming a driver for a popular ridesharing service like Uber or Lyft. You can drive in your free time whenever you want. Be your own boss with this option. If you are good with numbers and have any accounting skills, you can provide bookkeeping services on the side. Small businesses need bookkeeping services and have to maintain proper financial records. You can trade popular crypto coins like Bitcoin, Ripple, and Ethereum. Buy when the price is low and sell for a profit. As with all trading, only invest what you can afford to lose. You can also trade Forex. Foreign currencies are traded all over the world and the Forex market is the largest one out there. You can use a site like Shutterstock to sell your photos. If you like photography, this can be a good way to make some extra side money. If you like watching kids, put your parenting skills to good use and make a side income. Parents need help with watching their kids and babysitting is an old but still popular method to make extra cash on the side. If you have design skills, do graphic design work designing websites. Virtual Assistants are needed for all types of common everyday business tasks. You can work remotely as a virtual assistant providing common services. Become a tutor and help others with math, science, or any other subjects. College Students and elementary school students can benefit from additional tutoring services. If you have a knack for picking out good names, you can buy domain names and resell them to interested people and companies. Have your own domain portfolio of valuable domain names and sell them on popular sites like GoDaddy and Sedo. Dropshipping is when you have products shipped directly to your customers upon purchase. The benefit of dropshipping is that you never have to hold any of your own product inventory. It’s a quick way of getting your products directly to your customers. You would just need to work with the right wholesale suppliers to source your products from. Do paid social media work. You can be managing social media accounts and campaigns for businesses. Spend time on Facebook, Twitter, and YouTube doing common tasks and make money at the same time. You can find out more about Paid Social Media Jobs. An old but still common idea is to clean carpets. This business is still around today. You can get paid to participate in focus groups. They are used to conduct market research before bringing new products to market. Companies will pay you to voice your opinions on their new ideas and inventions. You can make money testing out websites. Companies want to ensure that their sites are working and functioning properly, and providing a smooth user experience for their customers. Sites include UserBrain and TryMyUI. You can get paid to test out Apps for companies. Test out new apps and write up reviews. Appcoiner can show you how to get involved with App Testing. You can start and build up your own YouTube channel. Create interesting videos that others would find helpful and entertaining. You can monetize your videos with advertising. You can become a coach and coach little league sports games. Coaches are needed for all major sports like Baseball, Football, Basketball, and Soccer. Wash cars and make some extra money. This is a simple and effective way to make a side income. Make those cars shiny and looking like new. You can DJ at bars and nightclubs on nights and weekends. Pick a type of music genre you would like to focus on, get the right DJ equipment, and learn to DJ. From here, you can get booked for various events and gigs. You can find part time work in almost all fields. If you already work during the day, maybe you can find part time work on certain nights or on weekends. You can buy stocks and bonds. You can do day or swing trading and buy and sell a stock within a short period of time. Or, you can buy and hold long term and sell when prices increase over time. You will want to research the market before investing large amounts of money in trading. Are you the creative type? If so, create handmade and custom items and sell them on Etsy. Put your bilingual skills to good use. If you know more than one language, you can become a translator. Translation work can help you make some extra money. Check for grammar, spelling, formatting, and punctuation errors. If you are known for having strong attention to detail, this can be a good option for you. Park cars in your free time. Busy restaurants will usually be looking for valet parkers who can help out. You can make extra money in tips doing this. Provide help in your neighborhood. You can complete handyman work and tasks like assembling furniture, mounting TVs, and help moving. Input data into MS Word or Excel. Companies can use data entry assistance and the work can usually be performed from home. If you like to cook and cater, you can start your own catering business. Provide your services to hotels, corporate events, and special occasions. You make some extra money renting out your car. If you aren’t using it, you can use a site like Turo. List your car and start earning money. You can shop online using Ebates. Ebates is a popular cashback site that pays you for the purchases you are already making. Get rewarded for the shopping that you do. Provide cleaning services for houses. Wash windows, vacuum, and provide neat and tidy homes to others. You can develop websites for small businesses. Help local businesses with their online business presence. If you have coding skills, you can develop software for almost anyone out there that could benefit from it. See what types of problems you can identify that need a solution. Develop the right software to solve that problem. Charge your customers on an ongoing monthly basis. Teach music classes. If you are skilled in a specific musical instrument like the guitar or piano, teach others. You can provide guitar lessons for people looking to learn how to play the guitar. Teach others who have their learner’s permit and are learning how to drive. Sign up for a driving school and become a driving instructor. Help people with driving and passing their road test. If you can code, create your own apps and start selling them on the App store or Google Play. 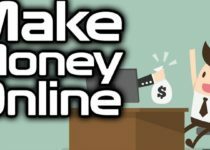 You can make money with your own website. You can turn this into a Blog and make money blogging. Or, you can do ECommerce and create your own online store and sell different products online. Starting a blog/site will provide you with different ways to make money on the side. How Will You Make Money on the Side With These Side Hustle Ideas? Go through this list and pick what interests you. You will be on your way to a new source of income.